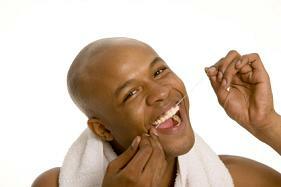 Do you saw back and forth with the floss when you are flossing your teeth? If so, you may be doing more harm to your gums than actual good. While flossing is important to do every single day, if you do it wrong, your gums may not be getting completely clean, or being given enough time to heal. Here is what you need to do when you are flossing each day. It used to be that you would get a long piece of floss, start at one end, and saw the floss between each gap of teeth. As you went on to a new gap, you also went on to a new section of floss so you didn't redeposit the same bacteria right back into your mouth. While many of those techniques are the same, the actual method of flossing is new and improved. Now, you still begin with a long piece of floss that you wind mostly around one finger, and just a slight amount on the opposing hand's index finger. You also still move to a new area of floss after each gap. However, the motion that you use to clean the teeth is different. Now, you put a clean bit of floss between two teeth and you scrape down the inside of one tooth from the gums to the chewing surface. Remove the floss, move to a new section, and return to that same gap. Now, you scrape the opposing tooth, pulling the debris off of each tooth in that gap individually. By scraping instead of sawing, you protect your gums and you don't simply push the debris back and forth. Talk to your dentist if you want a demonstration on how to improve your flossing technique to help keep your teeth and gums really healthy.